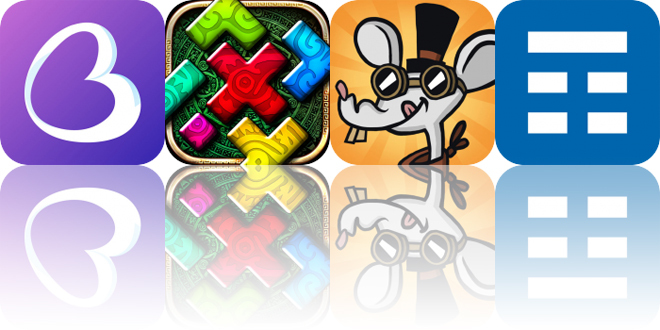 Make precious memories, take a glance at calendar events, and feed Raymond the rat with today’s collection of apps and games. Feed the Rats – Real physics! ($0.99 → Free, 66.6 MB): Get the cheese chunks to the rodents in Feed the Rats. Fans of physics puzzlers. All Raymond wants is his cheese. Is that too much to ask? Help him out by determining which crates to smash open so the tasty treats go rolling into his lap. Each level limits you to a specific amount of taps, so choose your crates wisely. The game includes 40 levels across four chapters. Feed the Rats – Real physics! is available for free for a limited time. It has a 4.5-star rating with a total of 49 ratings. Week Calendar Widget Pro ($1.99 → Free, 8.8 MB): View all of your calendar events from the Today view with Week Widget. Those who are always looking for new ways to save some time. Week Calendar Widget Pro is available for free for a limited time. It has a 4-star rating with a total of 70 ratings. Baby Moments – photo diary ($0.99 → Free, 229.9 MB): Make those precious memories one-of-a-kind with Baby Moments. Parents and soon-to-be parents. With Baby Moments, your pregnancy and baby photos will never look the same. Powerful and professional editing tools and filters help bring out the best in your shots. Your creative juices will really get flowing thanks to the more than 1,600 different stickers and works of art, whimsical 3-D fonts, and catchy frames. With that amount of content, there’s something for every occasion. Baby Moments – photo diary is available for free for a limited time. It has a 5-star rating with a total of 8 ratings. Montezuma Puzzle 4 Premium is available for free for a limited time. It has a 4.5-star rating with a total of 646 ratings.